This lighter color theme is easier on your eyes and much more legible in bright sunlight. The new, lighter theme for Strava on iOS. While we can’t control the weather on your next ride or run, we can design with your active lifestyle top of mind. This lighter color theme is easier on your eyes and much more legible in bright sunlight. Here’s some proof: reading this is exhausting. There is a reason that text is often black on white. We want to eliminate the amount of squinting needed to use Strava. Many of our athletes record on their phones, visit our website and upload with a GPS device, so we also wanted to create a more unified experience. 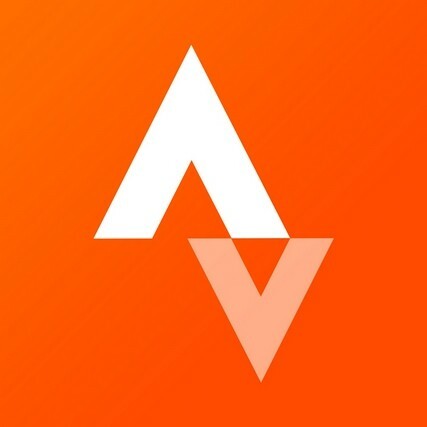 Now the whole Strava ecosystem has a light theme, from iOS to our website and Android app. While this might feel like a big change, we’ve been constantly iterating on our mobile app since it first launched for iOS in early 2011. Over the years we’ve transitioned from a skeuomorphic design – with an interface and buttons that mimic real-world objects – to a sleek digital look. This has followed the evolution of Apple’s iOS interface. And our new lighter app is another step towards a Strava for iOS that looks and feels like the iPhone’s native apps. We’ve added features that now seem essential, like the activity feed, workout analysis and live stats. And most recently, Live Segments and Beacon. Creating the new theme for our mobile app wasn’t as easy as flipping a switch. Our designers and iOS engineers had to recreate every single page, chart and button in the app to fit the new theme. Every member of the team had a role in tuning the new interface and we feel it’s our most beautiful and usable ever. The new lighter theme of our iOS app. This isn’t the first time we’ve improved our design and it won’t be the last. We’re always pursuing a personal best for the Strava user experience. The next time you upload an activity and the sun is shining, pull out the new Strava app for iOS and see how the higher contrast view helps you view your data. The evolution of our mobile app over time. Left, Android. Right, iOS.